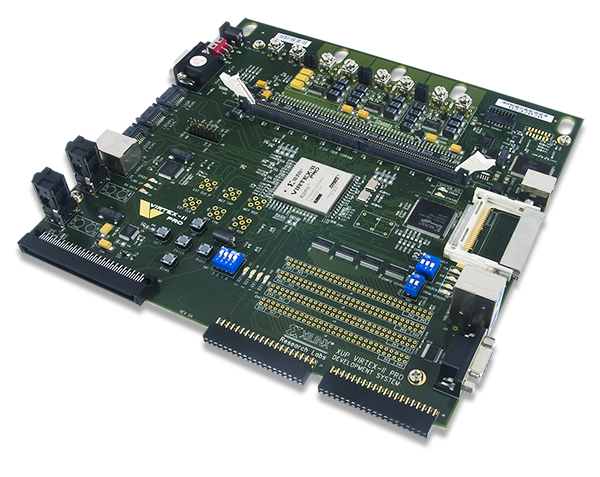 The Virtex-II Pro (V2-Pro) development system can be used at virtually any level of the engineering curricula, from introductory courses through advanced research projects. 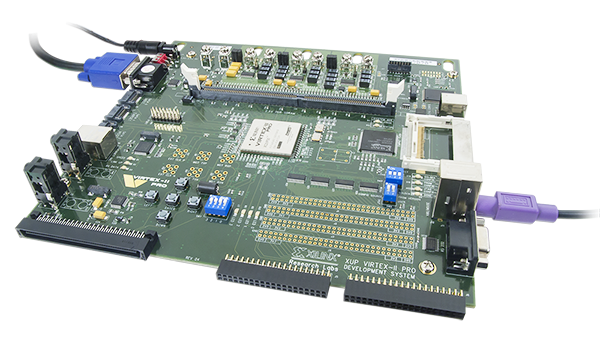 Based on the Virtex-II Pro FPGA, the board can function as a digital design trainer, a microprocessor development system, or a host for embedded processor cores and complex digital systems. It is powerful enough to support advanced research projects, but affordable enough to be placed at every workstation. 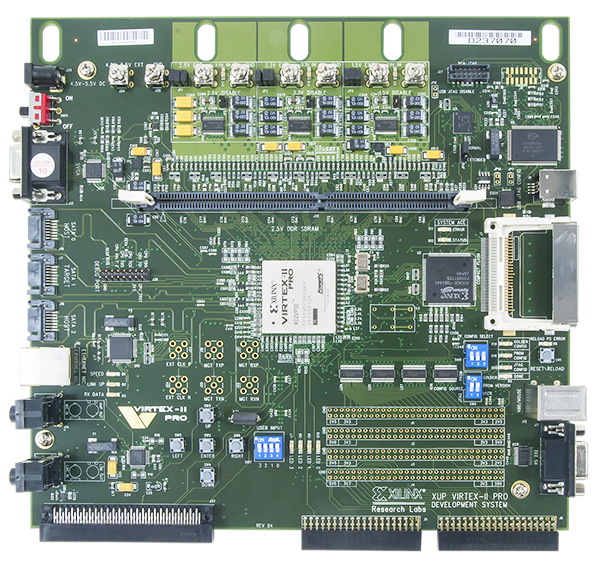 The expansion connectors can accommodate special-purpose circuits and systems for years to come, so the board can remain at the core of an engineering educational program indefinitely (see below for a current list of available expansion boards). 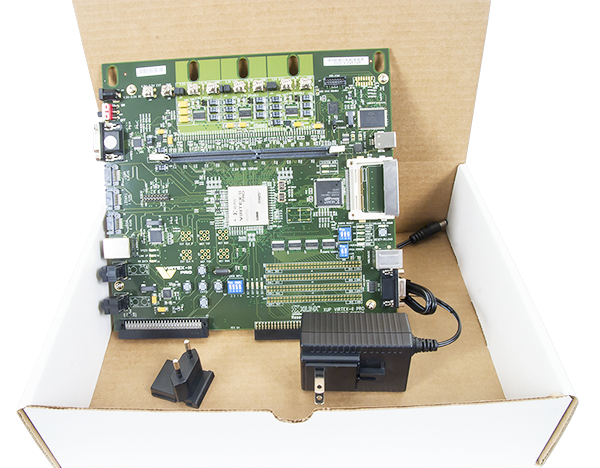 NOTE: EDK version 9.2 Base System Builder does not fully support the V2Pro board. We recommend using EDK Version 9.1 or the newer Version 10.1. The V2Pro is a mature product. 10.1 Service Pack 3 supports this product except for the 512MB DIMM. 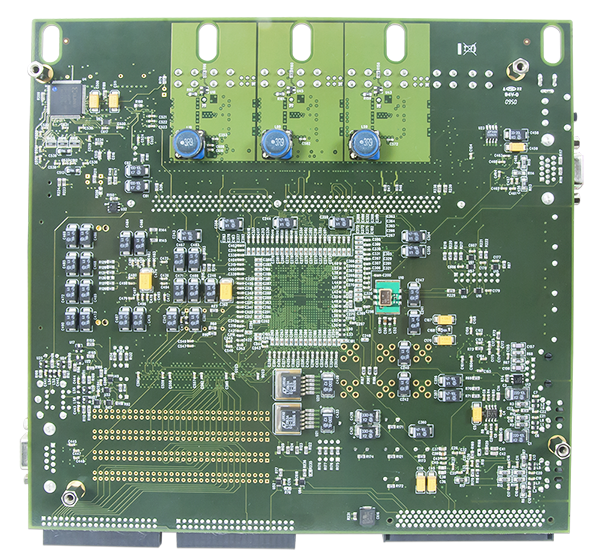 Future Xilinx EDK versions will not.